14th February. Valentines Day. It's the sweetest time of the year for some, but for others it can be the day they love to hate. Whether you're celebrating with a loved one, drowning your sorrows a la Bridget Jones, doing it a day early with your girlfriends for Galentines Day or burying your head in the sand about the whole thing I've got some delicious deserts to share with you. It's your prerogative if you choose to share them with a significant other or keep them all for yourself. Cookies, Ice Cream and Sprinkles. Could there be anything sweeter?! Combine them all for the ultimate Sandwich and you have a heavenly desert. 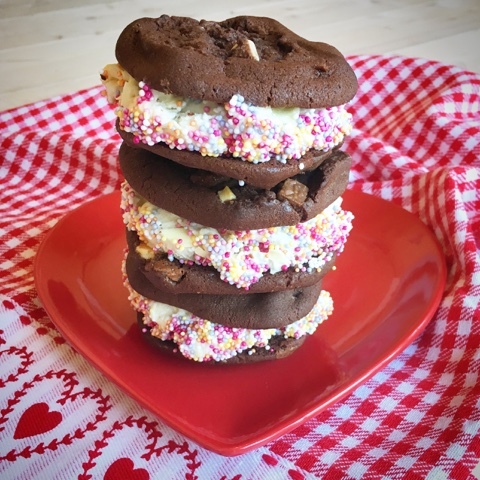 This year I will be spending Valentines Day in Iceland (the country) so it seems only appropriate that I've teamed up with Iceland (the shop) to showcase their Luxury Dessert range and share my recipe for Ice Cream Cookiewiches. Can I share a secret? Valentine's Day is probably the worst time of the year to eat out as a couple. Prices are hiked up, people are squeezed in, there's an atmosphere of enforced romance, the staff really don't want to be there. The ideal solution could be a special meal at home. However if you go for that option you run the risk of spending more time slaving over a hot stove that gazing into each others eyes across the table. Time to harness the #PowerOfFrozen from Iceland Foods. Their range of frozen produce is tasty, convenient and absolutely perfect for when you want to enjoy quality food whilst spending time with someone special and not be stuck in the kitchen. With decadent desserts in mind I popped along to my local Iceland store and picked up a fantastic haul from their Luxury desert range. All were effortlessly easy to prepare with defrosting times ranging from 10 minutes to 1-1/2 hours. With a few accessories you can pimp and preen their presentation to perfection. 2 individual terracotta pots filled with a Madagascan vanilla custard base with caramel pieces included to create a crunchy glazed topping. These cook from frozen under the grill in only 4-5 minutes. Deliciously decadent and reusable terracotta pots to boot. Be sure to let them stand for a further 5 minutes so the top crisps up nicely. A creamy raspberry and Prosecco Italian style dessert made with marscapone cheese, topped with a raspberry compote and Heritage raspberry crumb. This only needs 10-15 minutes to defrost. Pure indulgence and simply must be served accompanied by a glass of Prosecco for the full effect. 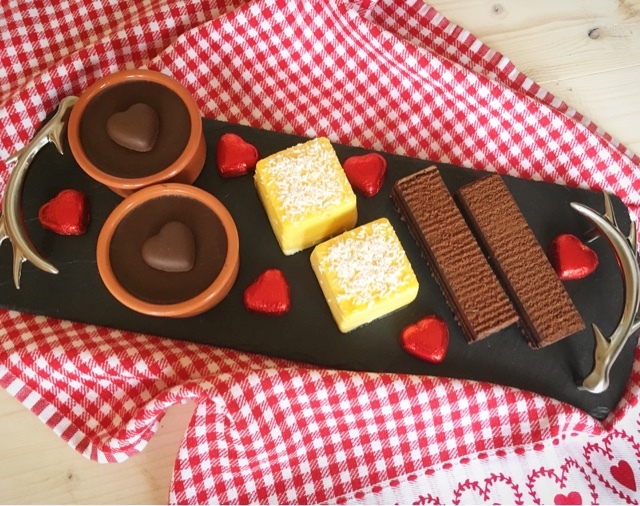 Creamy dark chocolate dessert made with real Belgian chocolate served in individual terracotta pots. A thin sponge layer topped with passion fruit and mango mousse with mango pieces, coated in mango icing and decorated with desiccated coconut. A layered desert on a crunch hazelnut and milk chocolate base with chocolate flavoued sauce, chocolate flavour brownie and dark chocolate mousse. Decorated with dark chocolate velvet dusting. Why have one desert when you can create your own sharing platter of three? The exotic tropical mouse makes a wonderfully refreshing contrast to the indulgent dark chocolate. 2 individual baked vanilla cheesecakes, topped with a sweet berry sauce, raspberries and wild blackberries. 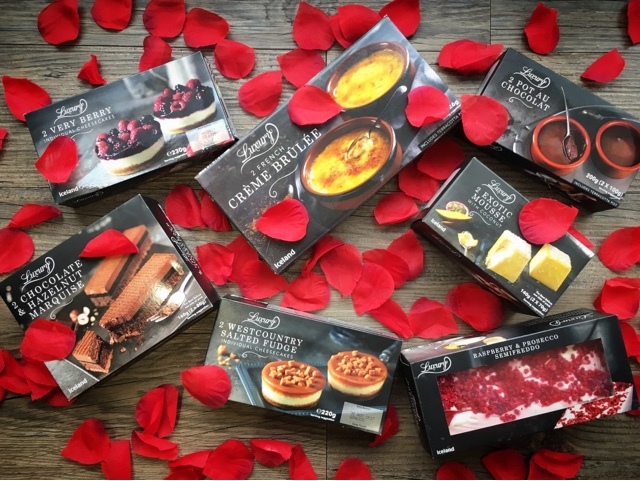 These creamy fruity cheesecakes and their Westcountry Salted Fudge counterparts make the perfect end to a special Valentine meal. 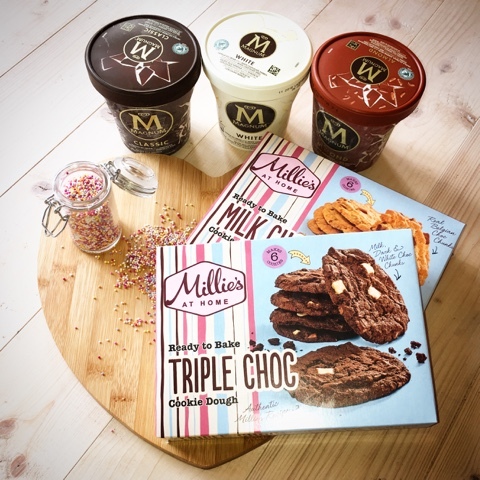 If you'd like to go a step further and make your own desert, you can head to the freezers at Iceland and combine ready to bake cookie dough with luxury ice cream to make Ice Cream Cookiewiches. These can be made in advance and you can mix and match the flavours of cookies and ice cream to suit. The 100's and 1000's are optional and could be substituted with chopped nuts, grated chocolate or popping candy. 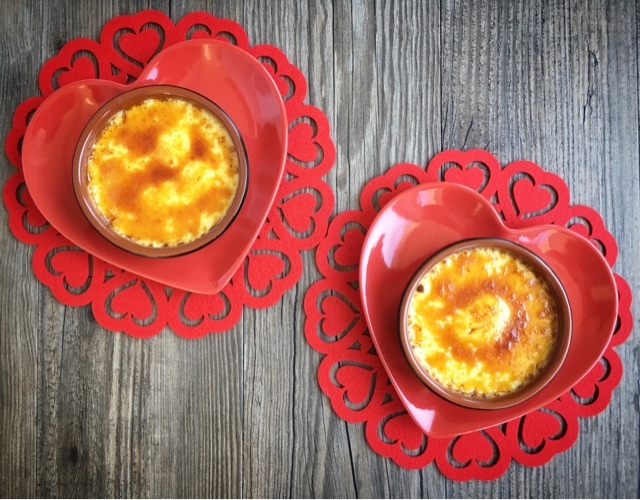 My kids were the taste testers for this creation and they absolutely loved them! Cookiewiches (or Sandookies??!!) are the perfect sweet treat to share with any loved one on any day of the year. We should really celebrate love all year round for everyone special in our lives. Bake the cookies from frozen according to the pack instructions and allow to cool completely. Remove ice cream from the freezer and stand at room temperature for 10 minutes. Squeeze the pack and crack the thick Magnum white chocolate shell. Spread a generous layer of the ice cream on the underside of 3 of the cookies and sandwich together with the remaining 3. Tip some hundreds and thousands sprinkles into a small shallow bowl and roll around the edges of your cookiewiches. Place the cookiewiches in a freezer proof container and return to the freezer for at least an hour before serving. Disclosure: This is a commissioned recipe for Iceland Foods. As always, all views expressed are my own. Oh. My. Gods. Did you buy the entire Iceland (store) Claire? And why wasn't I invited to help you get through them all??! Have an AMAZING trip to Iceland (country), I'm only a little bit jealous! No I didn't buy the entire store but I did get some strange looks at the checkout with my haul! I have a feeling I may fall in love with another Iceland this Valentines Day. Everything here looks fantastic! I haven't given a thought to Valentines Day yet - oops! Don't worry, It usually catches me unawares too! There's still time. 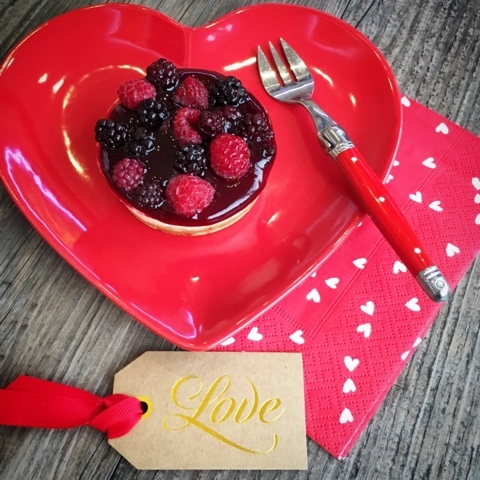 So many wonderful treats for Valentine's Day! They all look lovely and pretty. Thanks Catherine! I little extra effort to the presentation makes a world of difference. I don't want to wait until Valentine's Day - I want those tasty cookie sandwiches right now! Ha! Yum! Such a wonderful, easy option for Valentine's Day! I love everything here, especially that semifreddo. Yup super easy but shows that you care. The semifreddo is also awesome - you really taste the Prosecco. love the short cut cookie and ice cream combo. Looks homemade we will never tell. The Millie's cookie dough is SO good and really does taste and look homemade. Lets keep it a secret between us! Napkins are from the pound store! Combined with the #PowerOfFrozen shows you don't have to spend a fortune for a romantic night in. Oh wow, all of this looks super delicious! I have not visited my local Iceland for ages now, didn't realise they have such a vast range of desserts! Seriously you need to go to Iceland (the country and shop LOL) they have seriously upped their game of late. I promise that you will be surprised - in a good way. Yup! All that so called 'aphrodisiac' food. Much better to enjoy a meal at home and celebrate your love with a meal out on one of the other 364 days of the year. These desserts look fantastic! I definitely agree that Valentine's Day is the worst day to eat out as a couple. We normally just have a nice meal at home after the children have gone to bed. I can assure you that they are. It was a tough job testing them all out but I battled on through! Those salted fudge cheesecakes sound amazing. 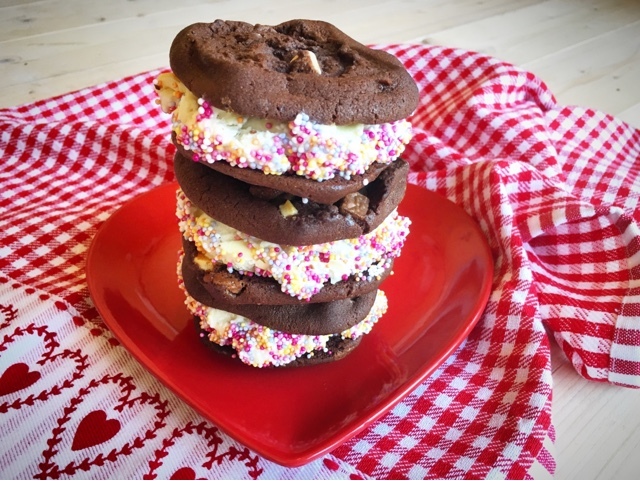 Love the idea of the ice cream cookie sandwiches, especially with the sprinkles. Anything sweet and salted is good in my book. I initially added the sprinkles just for looks but they add a fantastic additional texture to the cookiewiches. I really adore the range of Iceland Food Desserts. These have seen me throught quiet a lot of supper parties. So handy to always keep a stash of them in the freezer and they really don't take long to defrost so can always save the day. 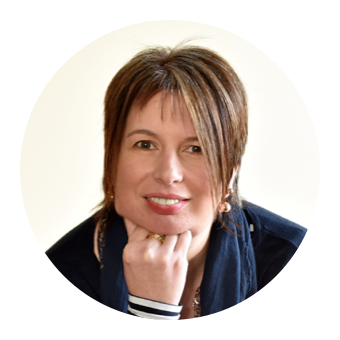 My Freezer is my absolute kitchen essential (although mine is in the garage!) don't think I could cook/eat without it! I love Iceland's frozen desserts, they are so easy to defrost and the quality is excellent. The cheesecakes are my favourite, they're so creamy and rich. I was really impressed with how they came out looking pretty much exactly as they did on the packaging. So many great frozen desserts! I love your ice cream sandwiches - must make them soon! 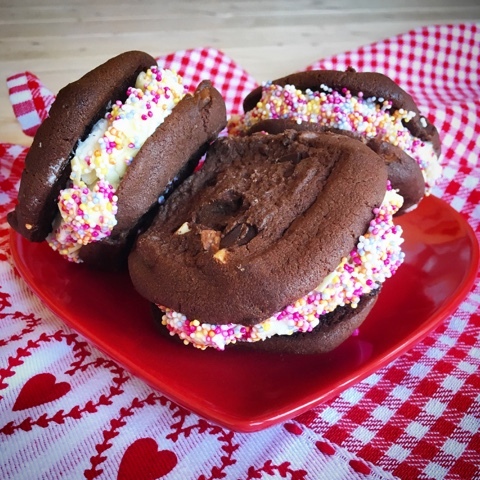 The Ice Cream Sandwiches will most definitely be made soon again here - way too good to save just for Valentine's Day. Definitely a better idea to cook up something special at home and eat out together on one of the other 364 days of the year. This is a great idea! What a delicious pudding to whip out of the freezer. 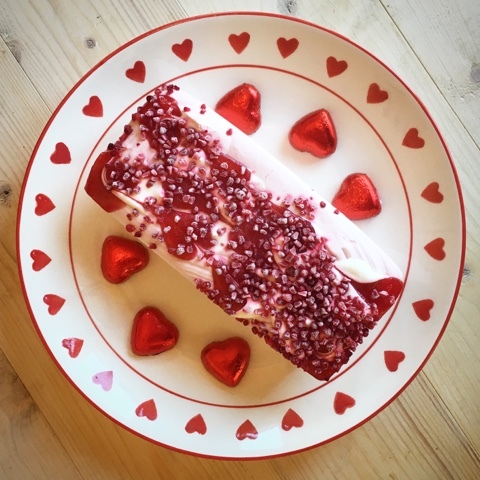 Perfect for any time of the year, not just 14th February.